Jaguar Land Rover is eyeing North America as a possible site to build a vehicle assembly plant, the former head of the British luxury automaker's parent said according to Automotive News. "The company is indeed looking at North America as a location for another plant," Tata Motors chairman emeritus Ratan Tata said Tuesday according to the trade publication. "Where they locate that plant, in which country or which state they locate, is something they will need to decide." Ratan Tata did not specify at a conference in South Carolina where Jaguar Land Rover is looking, and emphasized he is not part of the decision-making process, Automotive News said. Ratan Tata retired as chairman of India's Tata conglomerate at the end of 2012. 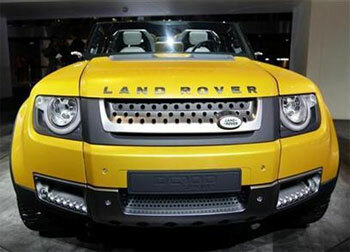 A spokesman for Jaguar Land Rover declined to comment on Wednesday. The company said on February 6 that no decision on future manufacturing locations had been made, but it was evaluating opportunities to increase its global manufacturing capacity and North America as well as other locations were options.